Government officials in the northeastern Mexican state of Tamaulipas have confirmed that assailants launched two grenades from a moving vehicle near the government legislature in Ciudad Victoria, the state capital. The attack occurred at 6:30 pm on Tuesday, February 19th, and left three men injured as well as damage to two vehicles in the vicinity of the explosions. As is typical in such scenarios, state and federal authorities then cordoned off the area – in this case the perimeter of the city’s central square. 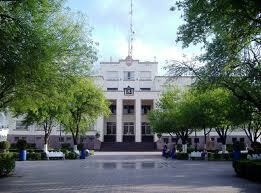 On December 5, 2012, a grenade was thrown at the official residence of the governor of Tamaulipas.